Effortless exfoliators and pH perfect cleansers, these daily staples will leave your skin looking fresh, flawless and poreless. Hydrate, protect, plump, firm and clarify with day and night moisturisers that will restore a healthy functioning complexion. Targeted treatments nourish, protect and perfect the delicate skin on the eye and lip area. 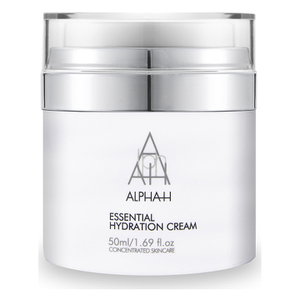 Alpha-H is considered a global leader in corrective and preventative skincare. Praised by a cult global following of beauty writers, professional make-up artists, celebrities and skin clinicians, Alpha-H offers a unique bridge between the world of laser and cosmetic surgery and the traditional beauty counter thanks to multi-award winning cosmeceutical formulations which can safely, comfortably and rapidly improve the appearance of wrinkles, sun damage, pigmentation, premature ageing, and acne. Alpha-H is committed to achieving clinical results with minimal effort and zero downtime. 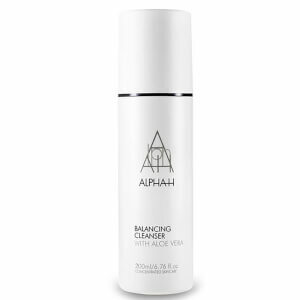 Integrity and scientific development sets Alpha-H apart from other brands, which offer a band-aid rather than a solution for specific skin concerns. To achieve fast effective results Alpha-H use a concentrated and balanced combination of potent cosmeceutical and natural ingredients, which are supported with scientific evidence and efficacy studies. Bridging the gap between the cosmetic counter and invasive procedures, these advanced anti-ageing formulations will help to press pause on the signs of ageing for a more youthful looking complexion. Correct and prevent sun-induced skin damage with multi-award winning formulations that restore clarity to pigmented skin. Acne-free skin without a prescription, utilising a combination of nature's most powerful antibacterials and active ingredients.